Tesla style screen? Has it ever been done? I recently purchased a new daily ('15 Q50 hybrid) and am still keeping the Evo as a weekend/fun car. 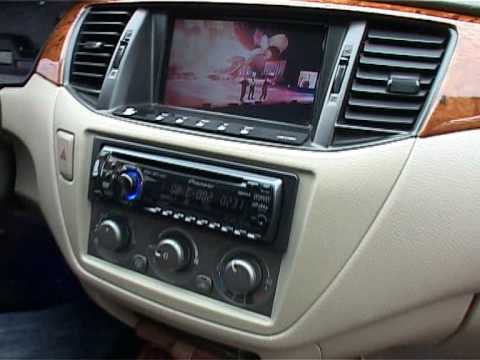 I have to say I'm rather fond of all the features the Q has, especially the two screens that are nearly connected to each other on the dash, otherwise known as the intouch. 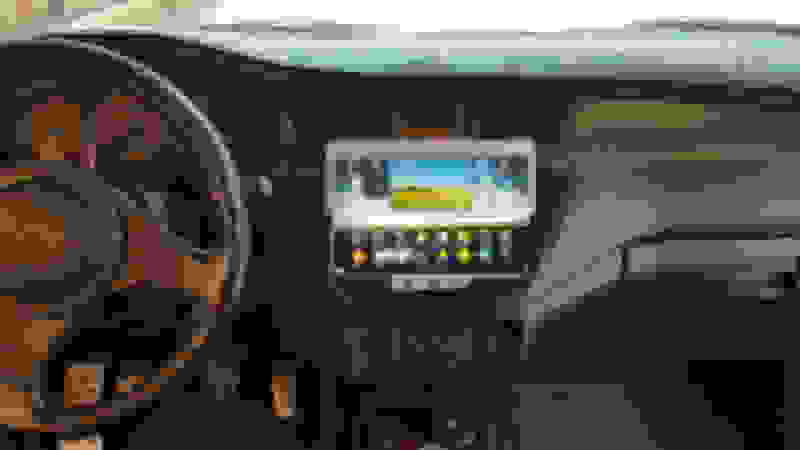 I was browsing the Q50 forums and I came across a Tesla style screen kit, I don't want it as my system functions fine, but the kit did look kind of cool. And just now I had a crazy idea come to mind and I thought id share it with you. What if i was to install one of those large screens on the evo? There aren't any kits available so I know I'd have to do some custom fab work. For the most part it doesn't seem too hard, just time consuming. I even threw together a quick photoshop pic (sorry my editing skills are non existent). I really wanted to get your opinions as to how you guys think this would look. I personally have mixed feelings about it but I dont think there's anything wrong with adding a bit of luxury to the Evo. I'm not a fan. Its a drivers car. Save the fancy stuff for a lexus..etc. With that being said, the execution would have to be really well done for it to even look half decent. Even then, I still think it would be lacking. That is the best photoshop mock-up ever lmao. I agree that it doesn’t “fit” the interior style. 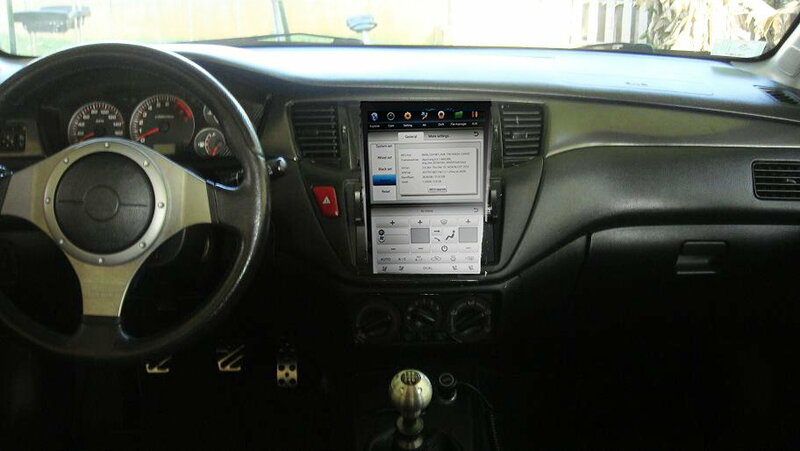 I would go with the double din mod and put in a really nice display and call it good. 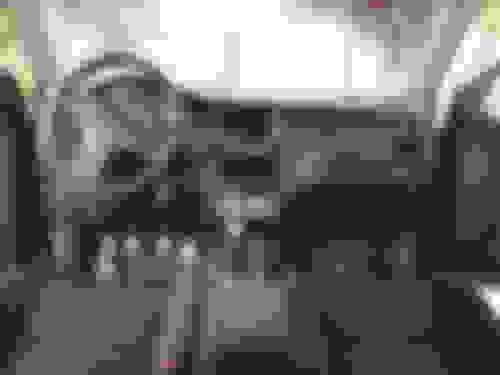 Last edited by 1hotevo9; Mar 18, 2018 at 10:24 AM. i meant the op sorry for the confusion. ​​​​​​​This looks pretty cool , do you have a write up or anything about how you did this? 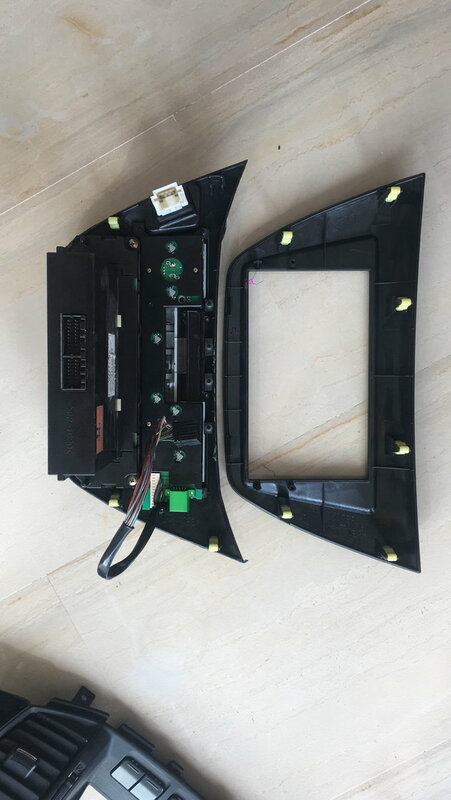 Imagine a 2DIN in place of the 1DIN unit below..... you would however need quite a lot of parts, and a wrecked Taiwan-market Lancer Virage would be your best bet. I understand for the new guys who just purchased an evo and is for daily use, but never bought the Evo for car shows, to claim 2000hp, and or have a cool stereo systems so that Asian girls in their underwear start to dance. I bought it for what it was , a performance sedan that competes with exotics and current v8 platforms with just a few tasteful mods. I have an 03 evo8 with 88k original miles, stock block, Fp Red jb runs 11.2 in the 1/4 mile with street tires. I just bought that top piece 2 din panel. I’m not sure if I can modify for the vents to connect but if not then I dont mind deleting them. I’m just a little worried if the remainder of the under dash parts/plastic is the same or not to allow it all to fit. Hopefully i wont have to modify too much to make it fit in. I didnt order the bottom bezel/panel with the curved top. I’m trying to see if first I can make it work, then if I can modify my 2 din bezel to work with this or not. Before anyone asks. I ordered it from ebay. I think there are a few more left from the same seller. Search for OEM MItsubishi lancer 04-07 Evo ralliart 2din navi panel interior trim . I made an offer and he countered, I still feel i spent too much for a panel piece but thats how much i dislike the factory cheap interior. Last edited by BluEVOIX; Apr 21, 2018 at 09:39 PM. Hi, you definitely need the bottom bezel frame as the shape is different. The frame on the left is what you need for the panel you purchased on eBay. The right side is the stock one on your car now. Quick Reply: Tesla style screen? Has it ever been done?